0 Comments Published by KL Ocs Kid on Sunday, May 30, 2010 at 11:52 PM. Atletico Madrid winger Simao Sabrosa admitted he is interested in playing in the Premier League while Liverpool are reported to be planning an £8million bid. The Portugal international has only a year left on his contract in Spain and has been linked with a move to the Anfield club for many seasons, with a deal failing to materialise. Rafa Benitez is known as an admirer of the 30-year-old and is currently looking for a winger following his relationship deteriorating with Albert Riera last season. Liverpool are tipped to make a move after the World Cup and Simao has indicated that he would be open to a move to the Premier League but played down reports. Simao said: “Nobody has spoken with me in the last days about this subject. Watch this space as I personally believe this deal may materialise. Simao has been linked with us before on a number of occasions, but with Riera now as good as gone and Benayoun linked with a move away – I really do think we’ll try and make a move for him. £8million is about right for him, with only one year left on his contract and I don’t think Atletico would mind that for someone who’s going to be turning 31 in less than half a year. If this does go through, I reckon we’d have good cover for Kuyt, Rodriguez, Jovanovic, and perhaps Benayoun if he does stay. With us obviously needing some more strengthening up front. 0 Comments Published by KL Ocs Kid on at 11:50 PM. Rangers are waiting for Liverpool to make an improved bid for highly-rated teenager Danny Wilson after they rejected a £2million offer from the Reds. The Scottish champions confirmed the Anfield club were interested in signing the 18-year-old around two months ago. Gers manager Walter Smith has revealed the club have recently turned down an offer for the promising youngster. "We are currently waiting to hear back from Liverpool after we rejected their original £2million offer," he told The Sunday Post. Left-sided centre-half Wilson has refused his club's attempts to extend his contract - which has just one year remaining. 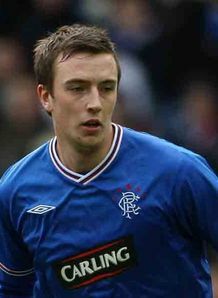 Rangers would receive just several hundred thousands of pounds in compensation should he leave Ibrox next summer. Livingston-born Wilson made 25 first-team appearances last season and with his club resigned to losing the hot prospect, they will try and hold out for as much money as the Scottish Football Writers' Young Player of the Year could attract. Rangers chief executive Martin Bain admitted the club had rejected approaches from two English Premier League clubs back in January, with Tottenham strongly linked with a move. 0 Comments Published by KL Ocs Kid on Sunday, May 23, 2010 at 11:30 PM. Torres has been linked with a move away from Liverpool after the club's poor campaign, with Chelsea and Barcelona supposedly in the running for the Spain international's services. But Reina spoke to his compatriot this week and claims Torres is committed to turning the club's fortunes around. "I am calm about Fernando," Reina told the People. "I spoke to him about his future and he has told me that he intends to continue with us. 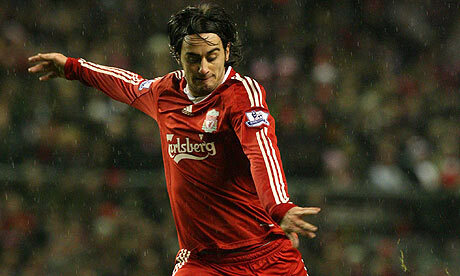 "Fernando suffered so many blows last season, but he is a professional and has always wanted to do well for us. 0 Comments Published by KL Ocs Kid on at 11:19 PM. 0 Comments Published by KL Ocs Kid on Sunday, May 16, 2010 at 10:22 PM. 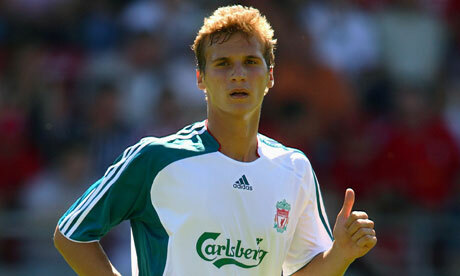 Swansea's former Liverpool striker Besian Idrizaj has died aged 22, his agent has confirmed. A statement from Swansea read: "Swansea City can confirm that the agent of young striker Besian Idrizaj has informed the club that the striker has sadly passed away. "It is understood that the popular 22-year-old died in his sleep on Friday night while at home with his family in Austria. The exact cause of death has not been confirmed and our thoughts are with his family, friends and team-mates at this time."